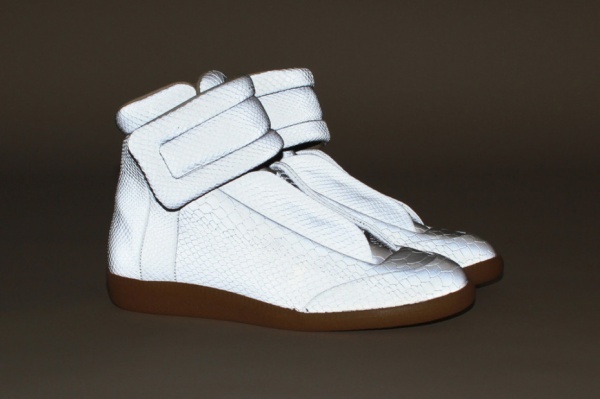 Maison Martin Margiela gives us a look at an interesting new iteration of their ‘Streamlined’ high-top sneaker for 2013. The sneakers sports something we’ve never seen before; a python-printed, grey polyester upper with reflective capabilities. Made from 3M’s “Scotchlite” material, this sneaker is both stain-resistant produces an incredibly bright reflection when light hits it. 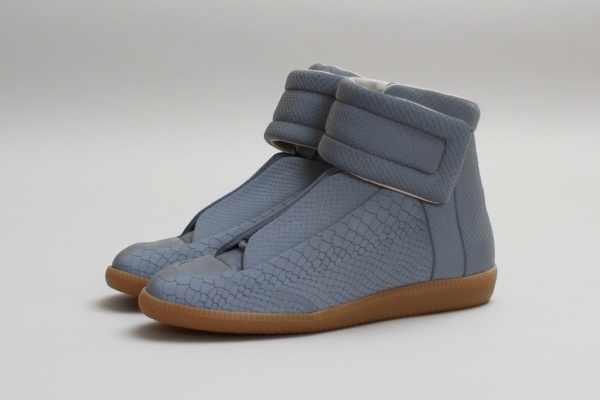 A thick velcro strap and a gum rubber sole round out this truly unique offering from Maison Martin Margiela.